A national housing crisis is brewing. What actions can policymakers taketo head it off? Housing is sputtering. Home sales, home-building and homeownership have gone flat, and the rise in home prices threatens to stall out. Things aren’t likely to get better soon, particularly for lower- and middle-income households struggling to make the rent and become homeowners. 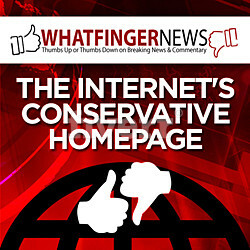 That is, unless policymakers act. Housing’s travails appear incongruous with the red-hot job market. The economy is creating lots of jobs, unemployment is near a 50-year low, and job openings are at a record high. Workers are demanding and getting bigger raises. In earlier times, when people had jobs, they bought and built homes. They became homeowners. So, what’s wrong? For one thing, potential home buyers are having trouble digesting the run-up in mortgage rates. A year ago, the typical rate on a 30-year fixed-rate mortgage loan was no more than 4 percent. Today, it’s closer to 5 percent. The increase is partly the result of Federal Reserve efforts to normalize interest rates amid a strong job market. Rates are also rising in response to the ballooning federal budget deficit that’s paying for President Donald Trump’s tax cuts and government spending splurge. Higher mortgage rates also have conflated with the robust house price growth since the crash to create a serious affordability problem. This is especially true in heretofore high-flying markets – Washington is a case in point – where monthly mortgage payments are out of reach for many potential home buyers, despite their better wages. Getting a loan isn’t the ordeal it was not long ago, since lenders normalized their lending standards, but affording the loan is. Recent changes to the tax code, including a significant reduction in the value of mortgage-interest and property-tax deductions, have also dinged housing. The first thing most people do when they plan to purchase a home is determine the largest monthly payment they can afford, tax benefits and all. Most set out to buy a home that isn’t quite as expensive, but once they start looking, they can’t resist the extra bathroom or bigger garage. The tax breaks quickly translate into higher house prices. Take the tax breaks away, and households can’t afford as expensive a home, and house prices weaken. On cue, house prices are softening, especially in parts of the country where these tax deductions were most commonly relied on, including the East Coast, from Boston to Washington, plus South Florida, the Chicago area and the West Coast. Housing is also plagued by a dearth of new affordable homes. Construction of high-end houses and apartments recovered strongly after the crash, as higher-income and wealthier households quickly bounced back from the recession. Builders were attracted by the higher prices and rents they could charge, and it didn’t take long for them to put up too many posh apartment towers in cities across the country…. 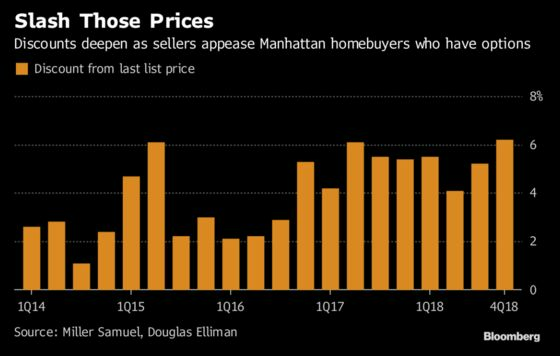 (Bloomberg) — Manhattan home prices fell in the fourth quarter, with the median slipping to less than $1 million for the first time in three years, as ample inventory continued to allow buyers to demand sweeter deals. 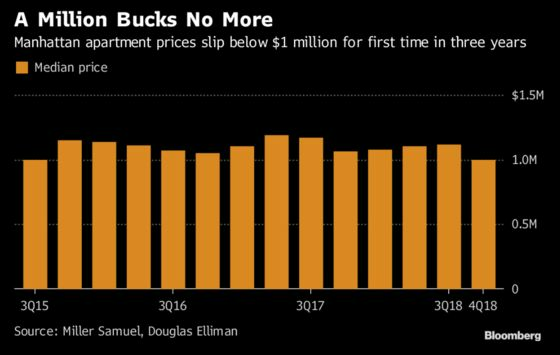 Condo and co-op prices declined to $999,000 in the three months through December, a drop of 5.8 percent from a year earlier, appraiser Miller Samuel Inc. and brokerage Douglas Elliman Real Estatesaid in a report Thursday. Many apartments were sold for less than sellers originally sought, with an average discount of 6.2 percent from the last list price. That’s up from price cuts of 5.4 percent a year earlier.